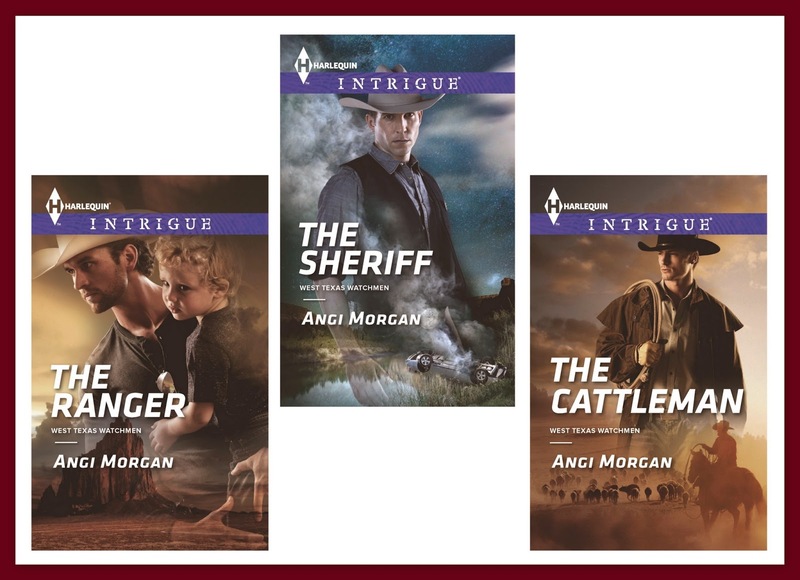 Texas Ranger Mitch Striker's uncomplicated bachelor lifestyle suits him just fine: catch the bad guys and move on. But there's nothing straightforward about struggling single mom Brandie Ryland or her adorable four-year-old son, Toby. The beautiful redhead is the prime suspect in Mitch's undercover investigation. But when a hostage standoff leaves Brandie's family vulnerable and uncovers a roomful of contraband and drugs, Mitch second-guesses her involvement in the crime…and his ability to keep his emotional distance. With the danger growing and the clock ticking, Mitch must save Brandie, catch the perps and handle the daddy heartstrings Toby keeps tugging on. Then he'll have to face the secrets he's sure Brandie's keeping—before they become his undoing. Mitch cracked one eyelid open, staring at pavement. The last thing he remembered was palming his .45 and soundlessly skirting the back wall of Junior's garage. He'd been about to open the office door, tripped and then nothing but stars. God bless `em, but he'd seen enough pinpoints of light in the past couple of minutes to last a lifetime. Texas Ranger Mitchell Striker had been an undercover mechanic in Marfa going on six months. Too long in his humble opinion, but no one asked him. He couldn't see a blasted thing from his position on the cement. He concentrated on the sounds around him. Shuffling of smooth-soled shoes inside the office. Papers falling to the floor. Excited breathing. It didn't make sense that he'd fallen. If anything was out of place where he worked, he would have been the one to leave it there. Nothing was ever left out of place. He hadn't tripped. He'd been hit on the back of his head. If he concentrated any harder, he'd hear the lump pushing through his hair. Inching his left hand, minutely extending his arm, he tried to find his gun. A noise like someone bumping the chair, followed by muffled voices awakened him from a light sleep in the back room. He'd come to the office but must not have been as quiet as he'd thought. The guy with the smooth shoes had gotten the drop on him. "You didn't have to hit him with a wrench." Mitch froze, recognizing the woman's voice. Daughter of the garage owner and his boss, Brandie Ryland. She should be at home with her son not rustling through files in the middle of the night. Files she had access to anytime she asked in the daylight. "What if you've seriously hurt him?" "Good. We told you to clear him out for a while. Why's he here in the middle of the night? You got something on the side?" Male voice with a bit of a northern nasal. Clearly not from south of the border or Texas. "He's my mechanic and sleeps in the back room." Brandie moved next to him. Tiny bare feet, he could see she'd painted her toenails herself and had missed a spot on the outside of her pinky. The color was her, calm blue with festive glitter. She knelt beside him and her toes were replaced with cartoon characters covering her knees. "Where do you hide the cash around here?" She wanted to rob her own garage? She didn't need muscle for that. Cool, shaky hands gently parted the hair where he'd been hit. Just a lump or she would have hissed at the sight of blood. Mitch had seen her practically pass out when Toby had gashed his shin falling from his tricycle. She stroked his longish hair covering his face to tuck it behind his ear. He was forced to completely close his eyes and couldn't see where her partner was located. "I don't keep cash here." Brandie was lying. Mitch knew she put it in the safe overnight and drove it to the bank after the breakfast crowd thinned out. Loved the excerpt, thanks for sharing. I love romantic suspense, but for some reason I have read very few books in this line. "The Ranger" sounds great; I'm adding it to my list. This is book three in my West Texas Watchmen series. All three can be read on their own, but do have previous characters as the stories grow. Love a man that can find a bit of humor in dire, painful circumstances! Look forward to reading this Angi! I have this book, then I misplaced my Sheriff copy. The minute I find it, I am reading this whole series.